Learn the design philosophies of the likes of Four Seasons Milan. 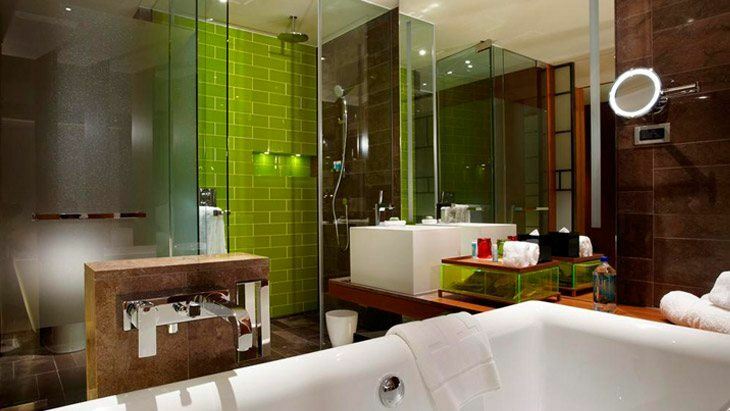 These days, discerning homeowners are taking cues from the bathrooms in luxury hotels to create spaces that are more like personal sanctuaries than shower rooms. Moreover, elegance and subtle sophistication are now the keywords for bathroom décor. Handmade tiles, custom-fitted and hand-rubbed cabinets, and gorgeously designed fixtures are just some of the items people are spending on. 1. Think about the lighting or the emotion you want the space to evoke. Lighting plays a huge role in the bathroom of W Hotel Taipei, which has mixers designed by celebrated architect Antonio Citterio for the Axor Citterio collection. A masterpiece of 1930s neoclassicism, the collection features taps and faucets with geometrical lines and distinctive flat surfaces that reflect light perfectly, mimicking flowing water. This then exudes dynamism and calm at the same time—a contrast that only sophisticated designs can balance and deliver well. 2. Choose fixtures that are in line with the décor of your room. Whether your bath is a study in opulent art deco or contemporary minimalism, your fixtures should take cues from the theme of your room. For rooms that have clean lines, consider fixtures that have linear designs in chrome or glass finishes, and set them against a dark surface to radiate modernity, simplicity, and sophistication. The five-star luxury hotel Chedi Andermatt does just that—its sleek chrome elements from the Axor Starck collection, a collaboration between Axor and the French interior designer Philippe Starck, glimmer against wooden walls and panels in a rich brown color. 3. Incorporate different or unusual shapes in your bathroom. The relaxing and minimalist bathrooms of the Four Seasons Hotel Milan find their personality in the mixers of the Axor Urquiola collection, with their big, curvy handles in asymmetrical arrangements. Like the Four Seasons, get inspired by curves when choosing fixtures; make your deep sink and bowl-shaped bathtub look playful and intriguing with mixers designed by Patricia Urquiola, the eclectic eye behind the eponymous Axor collection. For those looking for a more organic feel, look to the designs of French architect and inventor Jean-Marie Massaud. The Axor Massaud collection, in particular, has faucets that recreate the beauty of a gentle waterfall when turned on, and racks that nod to the sturdiness of trees. 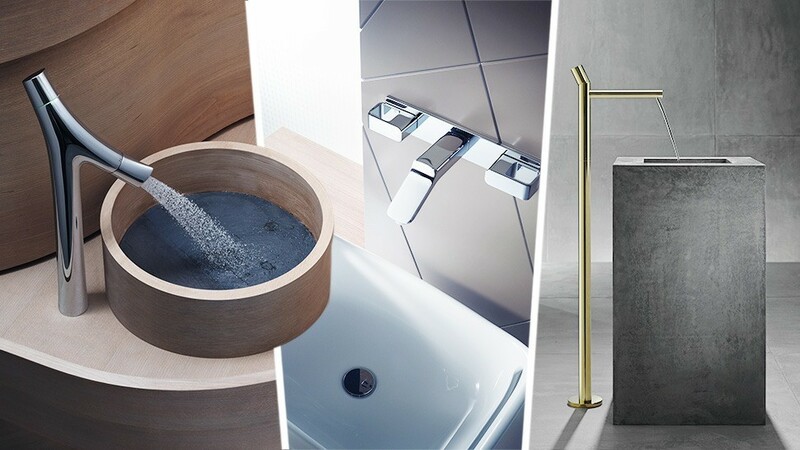 Instrumental in dignifying bathrooms with its tasteful fixtures for 20 years now, Axor has become the leading name for luxury bathroom accessories. It’s especially known for its avant-garde, one-of-a-kind, yet functional pieces that create different atmospheres that all still speak of home. Small wonder that the bathrooms of the world’s most luxurious hotels—Bulgari Hotel in Bali, Four Seasons Milan, and the Chedi Andermatt in the Alps, to name a few—have accessories from Axor. To know more about luxurious bathroom fixtures, follow Axor on Facebook and Kuysen on Facebook and Instagram. Axor is exclusively distributed by Kuysen. For more information on Axor, visit the Hansgrohe Flagship Showroom at Eton Residences Greenbelt, Legazpi St., Legazpi Village, Makati; and the Kuysen Main Showroom on E. Rodriguez Sr. Avenue, Quezon City. This article was created by Summit StoryLabs in partnership with Axor.